Men’s Soccer Preview: Attacking and Exciting? After a dismal 2014 campaign that saw the team fail to pick up a win in league play, the Stingers will look to use their experience, and new additions, to make some noise this fall. Manager Greg Sutton is once again at the helm. The former Montreal Impact goalkeeper, Major League Soccer veteran and Canadian international will begin his third season as head coach in 2015. The Stingers will need to find the back of the net more, if they hope to break an 11-year playoff drought. They were shutout in six of their games last fall. Sutton stressed the importance of a revamped attacking style of play. The acquisition of Eli Barutciski could aid the team’s build up when pushing forward. 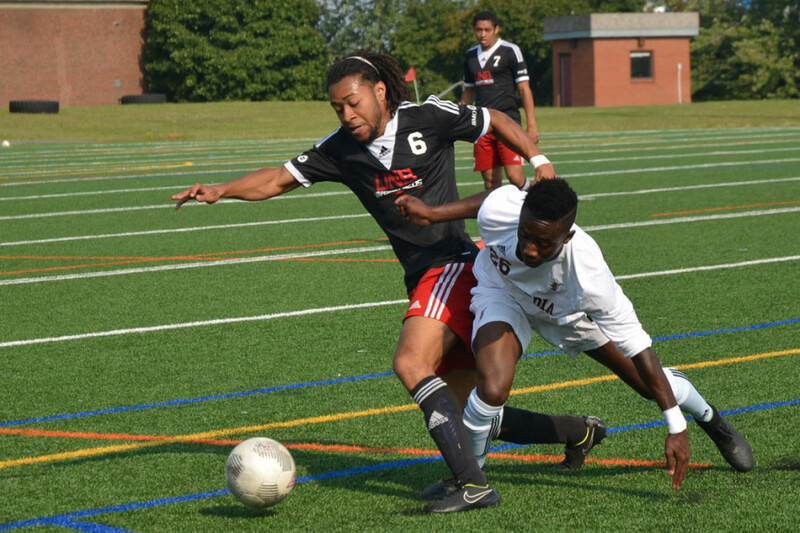 The Toronto native is a star in the attacking midfield position, spending most of his youth years playing for Power FC academy in his hometown. 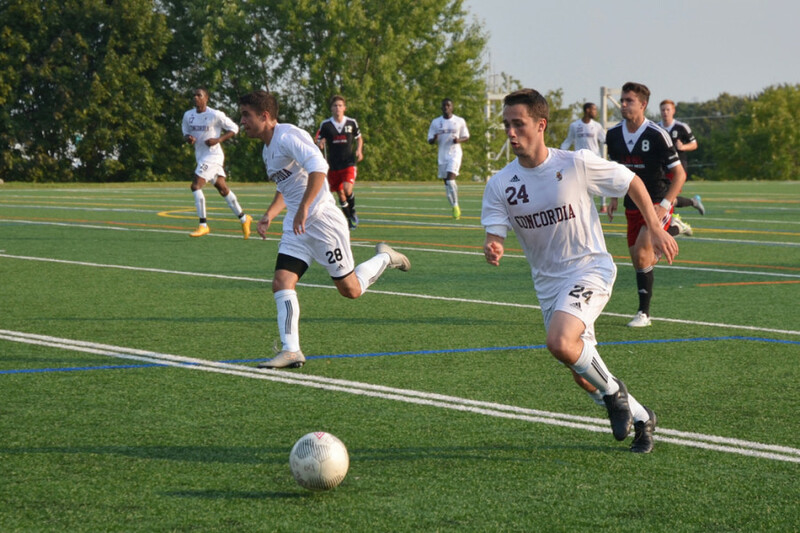 Barutciski earned himself a tryout in 2013 with Fulham FC Academy, a significant accomplishment in itself. Along with Barutciski, several other new players will look to make their way into the starting XI throughout the year. Jose Prida, a fourth year midfielder, reiterated the importance of the fresh, new talent. “We have a lot of new players, good new players,” the economics major said. Sutton will like what he hears from his veteran midfielder. While tactical adjustments will surely be made, the main objective during these hot and humid August practice sessions will be to get into top physical condition. “The number one focus for us this preseason is our fitness. I think if were going to be a fit team then we can do both the offensive and defensive work without hesitation,” the manager explained. The men will need to be in form from the get-go, as they will be tested early this season on the road. On Sept. 18, they will take on the Universite de Montreal under the lights. Barely a week after that, the Stingers will travel east to face the Laval Rouge et Or for a Sunday afternoon contest. Both teams will offer a strong challenge, especially with the latter who have a long history of fielding very talented teams. October 2 will also be a day to circle on your calendar. Concordia will host the UQAM Citadins at 6:30 pm. UQAM are defending Réseau du sport étudiant du Québec conference champions and fourth place finishers at the Canadian Interuniversity Sport championships last November. The Stingers will hope to end their preseason on a high note with results in several exhibition games, including one versus New Brunswick on Sept. 1. They will begin their season at home on Sept. 11 against rivals McGill.